My husband just registered on Word Press so he can blog also. Of course, he will be posting from his nifty new iPhone so his will generally be more cool and interesting than any of mine. 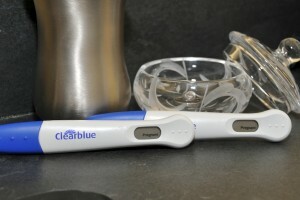 We’ve been using the Clearblue Easy Fertility Monitor to determine our peak fertility. It’s so exciting to see when we have an egg. The hardest part about trying to get pregnant is not being able to talk to everyone about it. It’s pretty much the most important decision of your life, and a time when you have so many emotions and questions swirling around it would be nice to share them. That’s why I started baby foo. A lazy Sunday seems like the perfect time to conceive… stay tuned! My husband and I are trying to get pregnant! We’re in our early 30s, and after a year of wedded bliss, we decided it was time to start a family. About two months ago I stopped my birth control and started taking pre-natal vitamins. Wish us luck!